I very much enjoy good television. I've watched many shows and found favorite actors and actresses amongst the mix, people I follow from one show to another to continue to enjoy their work. This past year, I've had more opportunities to rest on the couch and enjoy tv shows while I'm here. We gave up TiVo and gained Hulu and that gave me a bunch of new options. I discovered network channel shows that I can watch on my Apple TV. And it's been great, and has me excited about the TV season to come. This summer, I caught up on all of The CW's DC shows and that has made me glad for all the superhero fandom to be had, on both DC and Marvel MCU fronts. I shall be fully entertained by campy super hero dialog and darker gritty rescue stories with masks and weapons. So sit back and enjoy my listing of what I want to watch! and comment with your plans! (CMT) season 5. I need to catch up from midseason point. (TNT) season 4. August 20, if I can find it streaming on Amazon or OnDemand. Season 5. MCU: return date is presumably after the Inhumans' run. (TheCW) season 5. return date is usually in the spring. (FOX) Season 2. either late spring or summer, I believe. (ABC) New! firehouse version of Grey's? (Netflix) Season 2. MCU spring 2018. I've been a collector of Christmas albums over the year. I have a special affinity for Christian Christmas albums that feature my favorite artists or a good combination of traditional and original songs. 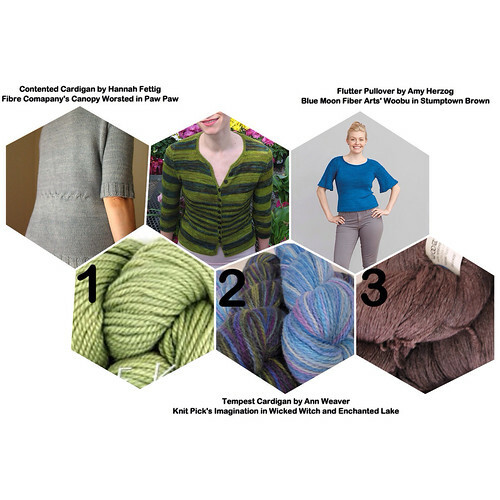 Here is my current list in case you need ideas, listed from newest to oldest! Jars of Clay, Sixpence None the Richer, Leigh Nash, Tori Amos, Jaci Velasquez, Rebecca St. James, Jewel, Owl City, Plumb, Kari Jobe, Brandon Heath, Meredith Andrews. City on a Hill collaboration tracks. My TV grid is a wee little grid this year. so much that it's just a mini post-it rather than a digital plan or a grand list. I've been making TV posts for years though, and so I wanted to keep with tradition and type it up anyhow :) Besides, it is a good problem to have when time for TV has decreased due to other life activities! Over the summer, I almost made it through Scandal from the beginning again. Together, we finished off the last half-season of Leverage, and the last half-season that Netflix had of White Collar. We started rewatching Firefly. Besides that, it has been board games for us as a couple and podcasts filling up my alone time. T 9pm: Marvel's Agents of S.H.I.E.L.D., season 2 ABC. returns 9/23. to watch in real time w/E! Th 9pm: Scandal, season 4 ABC. returns 9/25. to watch alone on Friday evenings on ABC app. M 10pm: Castle, season 7 ABC. returns 9/29. to watch w/E on Tuesdays. Th 10pm: Elementary, season 3 CBS. returns 10/30. to watch with E during the weekend. W 10pm: Nashville, season 3 ABC. returns 9/24. watch on ABC app, alone as I find time. M 8pm: The Big Bang Theory, season 8 CBS. returns 9/22, moves to Th later. watch with E during the weekend, maybe, if it still appeals to us after a few eps in - we were getting tired of it by the end of last season. Agent Carter, New on ABC for midseason. I did not watch promos for any of the new shows. And I trimmed back my list of existing shows substantially. And that's the story! I've enjoyed making these plans for many years now. (2013, 2012, 2011, 2010, 2009, 2008, 2007, 2006, 2005, 2004, 2003, 2002, 2001). 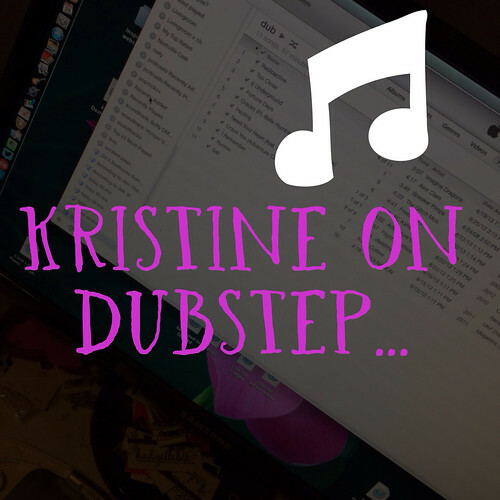 I am generally a slow adopter when it comes to music. But when something resonates with me, I love finding similar artists and songs to add to my life. Sometimes, this exploration comes through pandora suggesting songs to me, as this new genre did. I deduced yesterday that perhaps I'm enjoying these songs hat make me want to dance BECAUSE I have more energy and they are energizing. sweet! It's September, friends, what does that mean? Time to look at the new fall tv premeires and pick what shows I want to pay attention to! I admittedly have watched less lately (my TiVo feels neglected) and need to fix the channels still after our last cable downgrade (the digital channel numbers changed!) but I'm getting excited for my favorite shows to return and to pick up a few new ones. I need also to investigate my options for watching more of these shows on my iPad, that worked really successfully for me with abc.com shows last year when I was watching them on my own (without E!). I'm marking the ones I will do a "spree" as such, because some shows just make more sense to me when I can watch them one after another, so I save them up and do a sprint, or binge through them! I hope you enjoy this listing as much as I enjoyed putting it together. Please do comment with the shows you plan to watch and/or links to your posts about the new tv season! I've enjoyed making these plans for many years now. (2012, 2011, 2010, 2009, 2008, 2007, 2006, 2005, 2004, 2003, 2002, 2001). 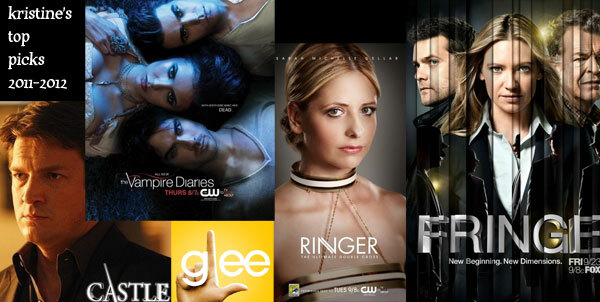 Continue reading TV season 2013-2014.
next up, to watch: I just finished a complete re-watch of Buffy the Vampire Slayer. I still have one season of Angel to go. Before next season, I'd like to get caught back up on the end of last season's Bones. And the next big thing I want to dig into with Eric is Supernatural. I still need to own Avengers so I can watch the specials! next up, podcasts: While the last few months have been super full, I've let the list of podcasts I was listening/watching get neglected. I'm working through back episodes of several of my favorites finally - I think I made it through 4 different shows this week that I really wanted to see the whole while-I-was-gone collection! There are others I'm going to have to declare podcast bankruptcy and mark as read and start from now! next up, in the house: I'm doing a lot of deep cleaning. There are several closets that need a complete overhaul and several trips to goodwill. 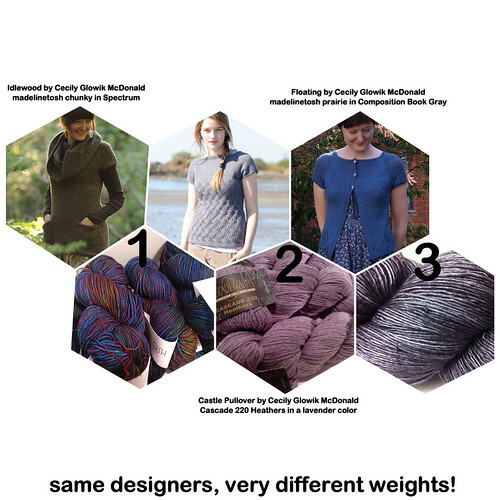 I need to determine what to do with the handknits that are too large for me. 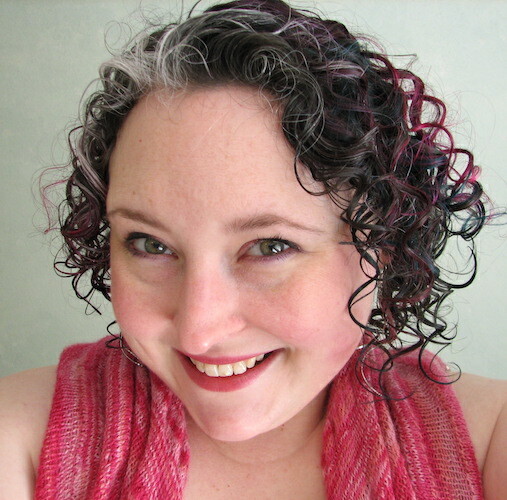 And I need to put a bunch of my stash up on ravelry as available to destash. I hope to "renovate" a drawer area to utilize for spices to free up another area of my countertop for useful tasks. next up, in life: my anniversary is coming up soon :) Further out, I need to determine what the holiday season will look like and begin planning. My business will flourish, in the future. And I will keep working on my health very closely. One of my favorite things about fall is planning to get back into my tv-watching routine. It's fun to watch the promos, look at fall scheduling grids, and pay attention to what shows my friends are talking about. Especially since I watched less tv this summer, it will be fun to see what the writers have in store for my favorite characters. 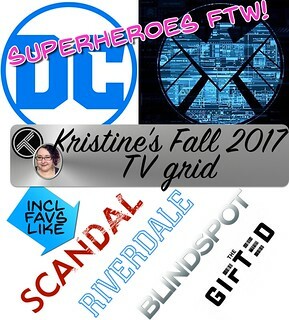 So here's my top picks, tv grid, and little notes about it all. Enjoy! I've enjoyed making these plans for many years now. (2011, 2010, 2009, 2008, 2007, 2006, 2005, 2004, 2003, 2002, 2001). Have you written a post about what shows you are going to watch this fall? Comment, I'd love to hear about it! 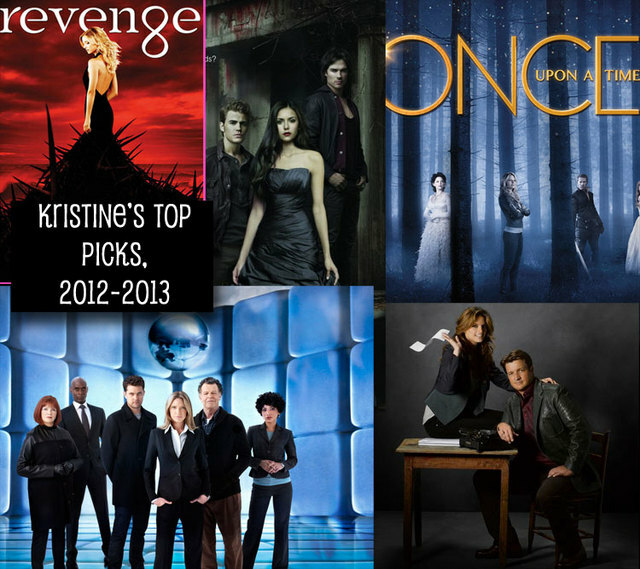 Continue reading TV season 2012-2013. This book resonated with me so much that I couldn't just review it on goodreads, I wanted to spotlight it here! I was introduced to Chris Hardwick by searching for podcasts interviews with Wil Wheaton (read his blog!) - later to find out they are great friends in real life! Chris runs Nerdist.com and has a terrific podcast, as well as a recurring series on BBCA. After listening to quite a few eps of his podcast, we found his book. It was a perfect thing to read after Wil's books. "Every year on my birthday, I start a new playlist titled after my current age so I can keep track of my favorite songs of the year..."
Um, yeah, look at my iTunes under the bday mixes ;) So my guess is that if I were to compare my personality type with his, we would be very similar! There are plenty of geeky antidotes throughout, including some history and plans for the Nerdist network. My eyes teared up hearing the "Enjoy Your Burrito" story with Jonah Ray. Oh, and an open letter from Doc Brown to Marty McFly was hilarious. I should warn you that there is swearing and self-deprecating humor throughout the book in case you are sensitive to that. If you are geeky and excited about developing yourself to the next level, you should read this book. Make a plan along with Chris and improve your mind, body, and time management. I think that my friends with success on the brain (small business owners, podcasters, etc) would get a lot out of The Nerdist Way. And while you are at it, follow @nerdist on twitter and download a few episodes of the Nerdist podcast to make you laugh out loud! 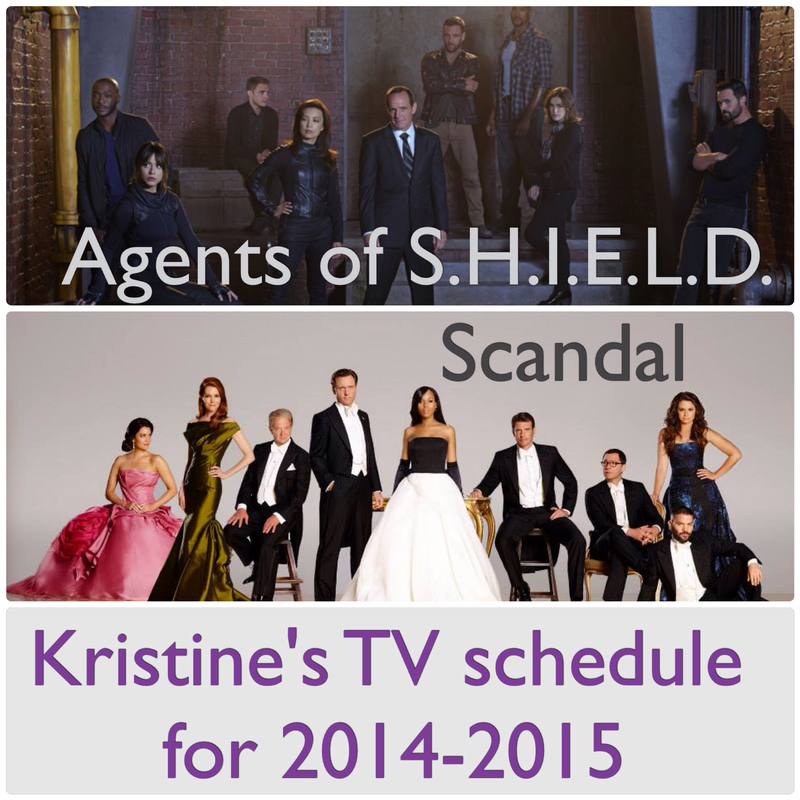 The fall tv season is in full swing and my thoughts were more than 140 characters of Twitter! Beware, spoilers are throughout for the season to date in all of my notes! 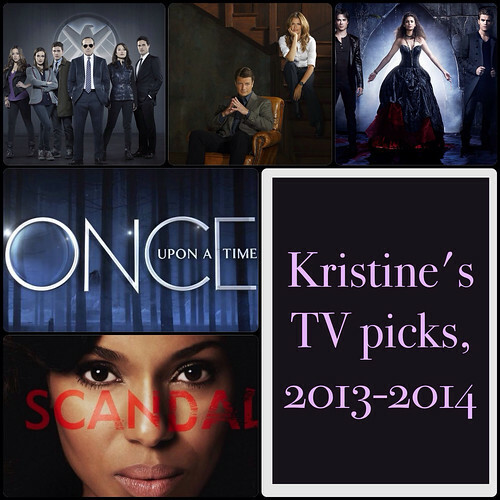 My full post and grid can be found at TV season 2011-2012. Ringer, TheCW: I am really enjoying Sarah Michelle Gellar and trying to figure out what is going on between Bridget and Siobhan. The whole cast is a nice mix, and the clothes are so pretty. E is not convinced. The boat scene certainly had the web buzzing at it's terribleness! But I will definitely keep watching. Revenge, ABC: This was a "alternate" that I wasn't sure I'd like. Then I heard several people saying how wonderful it was and I gave it a chance. The mystery is interesting even in a flashback sense. I love having Nick Weschler on my screen again (Roswell). Again with the beautiful clothes. The Secret Circle, TheCW: This was an alternate that I only taped on last impulse, and I'm glad I did. It's a perfect show to watch on my own... The teens are so young looking (even John Connor, LOL!) The magic is fun, and I'm so interested to learn more about what happened to the parents. Free Agents, NBC: Ok, so we laughed a lot at this show. Anthony Stewart Head has some hilarious lines. Basing the show in Portland makes me smile because My Mountain (Mt. Hood) shows up in the beginning and we see tons of PDX-y stuff. Characters aren't real Portlanders, but it's fun to see what they have done this way. Hank Azaria is great, too. Ratingswise, it's not looking like it will stick around, but since it's NBC, it may have more of a chance than the other networks because they don't have as many options to switch out. Hopefully, they'll give it more of a chance. Up All Night, NBC: Sorry, Will Arnett, we deleted this season pass already. Too many unfunny jokes. Person of Interest, CBS: Eek. I had such high hopes. Too much vengence. I've got the 2nd episode on the TiVo, and don't really feel like even watching it, although the numbers and computer system is an intriguing possibility. The filming is really choppy, too. New Girl, FOX: It was funny at times, but also a little too awkward. I'm not sure yet, but I'm pretty sure we are done. However, I might give it another episode *because* it's already been picked up for the season, so they have a longer time to make it flow better. The Vampire Diaries, TheCW: Excellent! I am so in love with this show. I can't help but be wishing for a little Damon/Elena-goodness... Caroline and Tyler are entertaining. Stefan and Nic/Klaus and their 20s storyline was very cool. Fringe, FOX: Oh man, this is so good. The Anna Torv scenes with both Olivia and Fauxlivia are effortless, I can feel the difference between the characters. Seth Gabel is fabulous. But Peter... where's my Pacey?! My only complaint is that I can't watch it in real time on Friday nights because E games all evening! Hawaii Five-0, CBS: Wow, this show really came back strong. I've got E watching too and he didn't watch the end of the first season. I did miss a few eps and so the whole Larissa O storyline is a little foggy. I gasped outloud at James Marsters in the first ep, I hadn't been spoiled on that! Castle, ABC: When crying off and on through a season premiere, I know it is one I hugely am connected to. Excellent. Really want the characters to get back to those all-important words from the finale, but enjoying the ride in the meantime. Glee, FOX: I'm not finding myself connecting to the storylines right away - a lot of new characters were introduced in the first ep, and then the focus on just West Side Story isn't something I'm familiar with, so I miss some of the broader storylines. But enough is good that I'm glad to watch it. Big Bang Theory, CBS/How I Met Your Mother, CBS: these shows go together in my eyes, both very entertaining and it's fun to watch them in real time versus on dvd after the fact - I don't have to be careful about spoilers with them for once! Storylinewise, BBT: I'm quite tired of Priya even when she's not on the screen. And HIMYM, I loved Barney and Robin dancing. I'm so interested to see if the storyline with Victoria goes any further. Terra Nova: still deciding, only seen one ep so far. Same with Hart of Dixie, one episode isn't quite enough to decide. Pan Am seems pretty generic - the sisters are interesting. House is coming this week and I really don't care. E will have to convince me to watch it, although the TiVo is set to record. Grimm, Once Upon a Time, Chuck, and Bones are all still coming either the end of October or very beginning of November in the case of Bones. The consumption of media is a big part of my life. And TV is one of my favorite forms of entertainment. This means I get quite excited as the fall tv season nears - it's the biggest time period for launching new shows, and that means the canvas is pretty covered with lots of options. One problem with this is that networks give new shows a little less of a chance than they might have in the past. I'm crossing my fingers that my old favorites and much-anticipated-new shows will make it. I've enjoyed making these plans for many years now. (2010 - which I also wrote some posts throughout the year about how things were going, 2009, 2008, 2007, 2006, 2005, 2004, 2003, 2002, 2001). Have you written a post about what shows you are going to watch this fall? Comment, I'd love to hear about it! Continue reading TV season 2011-2012. This page is an archive of recent entries in the entertainment category. family is the next category.